The Israeli electoral landscape is in a state of ﬂux. The country is going to the polls on April 9, and, for the ﬁrst time in a very long time, there is a possibility that Israel’s longest-serving prime minister, Benjamin Netanyahu, may not emerge as the Israeli leader that we have come to know and trust over all these years. It’s too early to say that Bibi is in trouble, but one thing is certain: his opposition and detractors are looking to take him down, cast him aside, and make certain that his days as Israel’s leader will be behind him shortly. Those hoping to see to it that the Netanyahus will have to move out of the prime minister’s residence in Jerusalem are more than just a few, and some have been devising a way to replace Bibi for more than just a few years. An Israeli election, perhaps unlike the electoral process in most other countries, does not take place in a vacuum. The reality is that Israel is attached to the United States in more than just a few ways. But more than anything else, it’s important and even something out of the ordinary when they see eye-to-eye and are aligned in terms of policy, the way the prime minister and President Trump are currently. When that occurs, it is very good, but, as we have seen from past experience, it is not imperative. Somehow, Israel survived the eight contentious years of the Obama presidency, wherein, as we all know, there were some very trying and diﬃcult periods. Some would go far as to say that if Israel survived Obama they can manage under any circumstances, regardless of how challenging they might be. At present, some say that Israel faces a greater challenge from within their political system than from their external enemies, who have tens of thousands of lethal rockets pointed in the direction of Israel’s major cities. 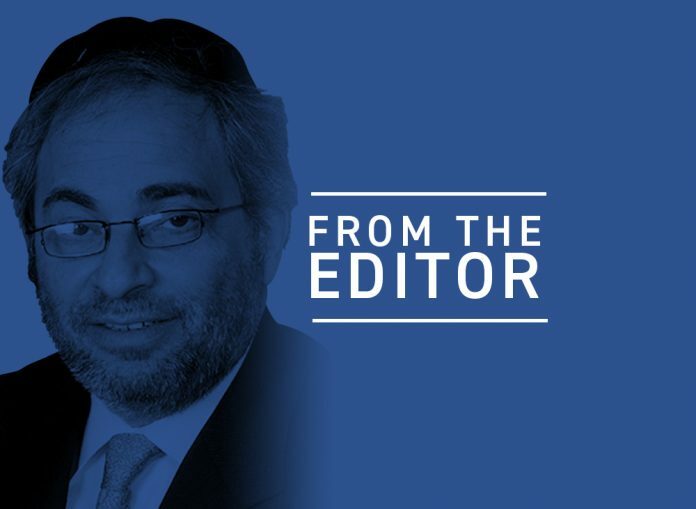 While that may be quite debatable, let’s just say that each of those elements looking to reshape or redeﬁne the Jewish state are working aggressively to achieve their objectives. At this point in time, the personalities moving up the political system with their eyes on the prime minister’s oﬃce are fairly recognizable. About 15 years ago, when the late Ariel Sharon had his ﬁll with the rightists in Likud, he took the bold step of breaking from the party and forming the new but now long-gone Kadima Party. It was by force of his track record in both the military and politics that Sharon was victorious and thereby, he hoped, free to pursue a long-sought-after peace deal with the Palestinians without the constraints of the Likud party platform that essentially said no to the creation of a Palestinian state. After Sharon took ill following the Gush Katif withdrawal, the Kadima party leadership was handed over to former Jerusalem mayor, Ehud Olmert, who demonstrated new levels of political bungling and misjudgments combined with large doses of corruption, which ultimately landed him in jail, as you know. Those aiming to supplant Netanyahu over the short term include Yesh Atid leader Yair Lapid; Naftali Bennett, who, along with Justice Minister Ayelet Shaked, broke away from HaBayit HaYehudi for the New Right party; and former IDF General Benny Gantz of the new Resilience party. 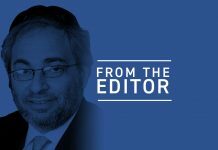 Political parties in Israel are like a combination of “soup du jour” and the “ﬂavor of the day.” Israelis seem, at the beginning anyway, to be enamored with new political ideas even though the new ideas are just reconstituted old ideas. At this stage of the game, the polls show that the Likud will continue to prevail, accruing between 28–30 Knesset seats. The same polls show Lapid’s party getting anywhere from 12–19 mandates, with Gantz drawing as many as 12 seats. That may be all ﬁne and good for the Likud going into the elections in April, but it is after Election Day that the real political jockeying begins, as the person with the best chance to form a majority in parliament is usually asked by the president to patch together a ruling coalition if at all possible. So for now, heading in the direction of those elections, there is a great deal more going on above as well as beneath the surface. Gantz, the former military man, and Lapid, the former TV journalist, are presenting themselves as Bibi minus the criminal investigations, with a measure of liberalism added into their proposed political proﬁles. The polls say that the new Bennett–Shaked party can pull no more than eight Knesset seats, but you truly never know. The Bennett vision calls for him to become prime minister after he builds his party, perhaps over the next four to eight years. For now, he and Shaked just have to get in, join a ruling coalition, and secure ministerial positions, and they will be on their way. It is anticipated that Israel’s attorney general will at some point before the elections announce indictments against Mr. Netanyahu and possibly his wife, Sara, as well. The charges are not serious and are rather ﬂimsy. Mr. Netanyahu is claiming that the AG is being pressured by his opponents to announce the indictments before Election Day. If that happens, it will not matter whether the PM will be exonerated at some point; it will weigh against him in the election, and that is what he is ﬁghting. Last week, Bibi urged the right-wing parties in the Knesset and those running for seats to unite and form a block that would be able to eventually join a Likud-led government that would rule going forward. Some of the rightist parties that may not make it past the electoral threshold of 3.9 percent of the vote are Shas, the Jewish Home, Otsma Yehudit, Yisrael Beiteinu, and several others. Of special interest is the Otsma Yehudit party, comprising former MK Michael Ben Ari and activists Baruch Marzel, Itamar Ben Gvir, and Bentzi Gopstein. These four gentlemen are students and loyalists of the late Rabbi Meir Kahane, z’l. Kahane served one term in the Knesset in the 1980s, with the main feature of his platform to move Arab residents out of Israel. In 1988, his party, Kach, was ruled by the courts in Israel to be racist, and he and his party were banned from running again. Though he had only one seat in the Knesset, pollsters indicated that had he been allowed to run again, he might have won as many as 12 seats in the Knesset. So now, because Bibi is urging Otsma Yehudit and other parties to join together, his opponents are trying to use the racism card against Mr. Netanyahu. This is where the extreme double standard in Israel enters the fray. The same critics of the Jewish right-wing parties would ﬁght to the ﬁnish to keep the Arab Knesset members in place even though they openly call for the dismantling of Israel and align themselves with groups calling for the destruction of the Jewish state. On top of that hypocritical approach, the entire premise of the left view of peace is separating the Arab and Jewish population. It was the basis of the failed Oslo Accords and to this day is all the left has remaining in its weakened arsenal. A Likud-led coalition joined by all the right-wing and religious parties would be a dream come true and what Israel needs now more than ever, with a friend like Donald Trump in the White House. Even if Bibi is not successful this time around, he will go down in history as Israel’s greatest prime minister. The reality, however, is that there is more history to be written. It’s not just a matter of voting right; it is the diﬀerence between wrong and right.